You have been noticing lately that a shadowy figure stalking you wherever you go. So far it hasn't been dangerous since the person that was following you is not doing anything harmful. You think that it might just be watching what you do. Then one day a strange order came for you at your shop. It looks like to be a blueprint of a key of some description. With an instruction to use it at a lock at a designated place. The payment is inside the locked container. You managed to open the container and inside is another instruction and some money for the job before and also for the next job. There was no blueprint this time just specification on what the client wants. The client wants some kind of mechanical tool that can be seen to "control" an element but it have to not use Magoi as a power source. Make a simple contraption that produces an "element" without the use of magoi. After you make the machine wait for further instructions. You wake up the next day with your machine gone and a payment along with a note left on your desk. The note talks about a group having an eye on you for quite some time. They deem you trust worthy and now they want you to join them. The past two projects was a test, and you passed. There is one last test. Follow the directions on different location to be able to reach the headquarters of the institute. After following the long trail of puzzles you managed to find a inconspicuous hatch inside a barbershop that goes down to a dead end. Following the instruction you stand at the end of the dimly lit corridor and stomp your feet rhytmically. The floor shakes and it started moving downwards. What awaits you down is a brightly lit 10mx10mx50m room with white walls. In the middle of the room are 6 magic tool automaton that is very similar to SARA in make. As soon as you step out of the elevator the 4 creatures attacks. Defend yourself against all attackers with the help of SARA and claim your prize. Abilities: Metallic Magic Tool Automatons that is powered by magoi most likely being controlled by a person hiding nearby. It can move at a speed of 10m/s and does tackle attacks that cause D-Tier damage. You have past all the test the institute laid down in front of you. The tests included, basic crafting skills, thinking outside the box, solving problems, and probably most important of all being able to defend yourself. Meet the top 5 people of the institute that acts as directors of the different branches of the organization. Follow the tour guide around the facility and get yourself acquainted on the different areas. Meet the leader of the group and listen the orientation and get your first assignment as well as your allowance. Your first assignment is cleaning the facility's restroom. This branch of the institute deals with the research of magic tools and it's functions. They don't necessarily make magic tools but they try to study it's structures and how it works. The Director of the division requested that you would lend them Sara in order to be studied for a price. You agreed in the condition that you would be the only one to touch it and disassemble it while the researchers just watch. Disassemble Sara and let them study it and then reassemble it again as good as new. This branch of the institute studies the different compounds of materials to make magic like effects. Like the exploding sand, the burning rock, or the flaming sea among others. The director doesn't want you and Sara to be near his laboratory in case your magic tool automaton is somehow combustible and make the entire facility explode. He just sent you out to get blocks of sulfur from the nearest volcano. Go and get the sulfur and return for your reward. The director requested you to hunt 4 sand scorpion on the desert, weaken them and inject them with 4 different serum provided for each scorpion, then watch and document the results. Abilities: Common Scorpion found on desert between Reim and Helio. It can burrow under the sand and move at the speed of 10m/s and use it's tail to cause D-Tier of damage and D-Tier poison. This branch of the institute makes assorted contraptions big and small. Almost all of the machines they've made have been powered by one source, the rukh. The director of this branch is a man with a large magoi powered mechanical arm. You are tasked to do a small routine inspection of his arm and he asked you to add an attachment to it. You have to add the upgrade and make sure that it works at full capacity. After you've done this you will be paid for your troubles. This branch works on discovering new ways of making machines move from flowing water to the blowing winds. They managed to create a simple machine that runs on the pressure coming from boiling water or steam. For now it's just a parlor trick but in the future maybe it will be of some more use. The director of sent you with a team to scout a probable location to build a machine that would help grind wheat with the help of natural wind power. You are to help build the said machine on the location to help the farmers with their work. Now that you have proven yourself as a trustworthy member of the institute you are being assigned to one of the institutes secret project. Reim used to be all about advancing technology and industry until the Kou invasion and the death of the emperor. With the new king in place Reim's focus turned to expansion outward rather than developing itself from within, thus removing the budget that the Institute used to enjoy. Now they are being funded by a mysterious organization. They pay for all the Institute's expenses in return they just need to create one project. The creation of a magic tool armor. Help assemble the Magic tool Armor and with its testing as a demonstration in front of the Institutes mysterious benefactors. The test was a disaster. The Magic Tool Armor uses more magoi than they first calculated, the user inside the armor was drained of magoi just within seconds of the armor's activation. The institute is in chaos, their benefactor was not pleased with the result of the test. Everyone is ordered to stop everything they are doing and try to search for answers to the Armor's inherent problem. You figured that the best thing to do is to look for answers from the scholars of the past. 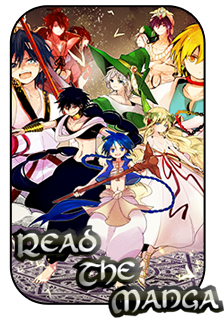 Go to the Reim library and read all about different books on magic and the rukh. Discover that there is a job open in the Reim Historical Society to make sense of the information that was brought back from the Shrouded isle. approved on the understanding that you will not be CREATING the magic tool armor, simply helping with its assembly. If, in the future, you plan to make anything regarding magic tools, you must have a magician assist with the job, as previously discussed.